The “Tax Cuts and Jobs Act” (TCJA) was signed into law on December 22, 2017, and the U.S. Treasury Department continues to work on guidance for some of its more complex provisions. A good number of these provisions impact entrepreneurs and small businesses, and the IRS has established an information page – Tax Reform Provisions That Affect Businesses – that provides regular updates and guidance. On August 8, the IRS issued proposed regulations on the 20 percent deduction (Section 199A) for small businesses and a basic Q&A on the deduction. The Q&A walks through some of the key rules to help small businesses navigate the deduction for 2018. As noted by SBE Council in a media release about the proposed rules, it is very positive that the proposal allows small business owners to aggregate their business entities for the deduction. Treating small business equitably in tax reform is an important principle that SBE Council continues to promote and advance. With that in mind, making the tax deduction permanent and working for all small businesses, while reducing complexity, remain on the forefront of our agenda. ● Defining what qualifies as a trade or business. ● Clarifies which industries are “specified services” and therefore precluded from the deduction. ● When business owners may aggregate or group together separate legal entities to calculate the deduction. ● A clarification that Electing Small Business Trusts qualify for the 20 percent deduction, similar to other small business pass-throughs. The S-Corp Association details some of the rules of aggregation in their review of Section 199A here. A 45-day comment period has been established for the proposed rules, and there is a public hearing at the IRS on October 16. ● Fifty percent of meal costs are deductible if they are an “ordinary and necessary” part of conducting business. ● The taxpayer or employee of the taxpayer must be present at the furnishing of the meal, or food and beverages. ● The meals cannot be lavish or extravagant, and the deduction can apply to meals with prospective clients and customers. ● The deduction can be used for food provided at a sporting or entertainment event. The food, if purchased separately or if there is separate accounting apart from the activity/ticket, qualifies for the 50 percent deduction. ● There is no longer a requirement that a business discussion take place during the meal. 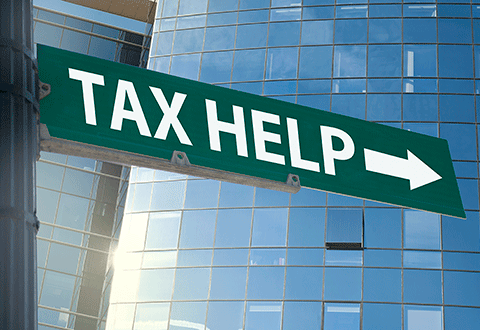 The IRS provides examples in their guidance, and taxpayers have until December 2, 2018 to comment on the guidance. Comments may be made electronically to Notice.Comments@irscounsel.treas.gov, with “Notice 2018-76” in the subject line. The FAQs page answers questions such as: who may claim the credit for paid and family leave, who is a qualifying employee, the definition of “family and medical leave” for purposes of the credit, how the credit is calculated, and how the credit impacts an employer’s deduction to the wages paid to an employee while on leave. Employers must have a written policy in place that includes certain requirements, such as providing at least two weeks of paid family and medical leave (annually) to all qualifying employees who work full time (prorated for employees who work part time), and the paid leave is not less than 50 percent of the wages normally paid to the employee. SBE Council continues to work with our friends on Capitol Hill and in the business community on additional clarifications and technical issues that need to be addressed in TCJA. For example, SBE Council joined 30 business organizations and signed an October 9 letter to IRS Commissioner Charles Rettig requesting that the Treasury Department revise relevant guidance to allow taxpayers with deferred Section 965 tax liabilities to choose how their tax overpayments are applied. As noted in the letter, current guidance is inconsistent with Congressional intent and with the letter of the Tax Cuts and Jobs Act. Keep checking the SBE Council website for additional updates or sign up for our Small Business Insider newsletter, which will keep you informed about all tax-related matters and many other issues impacting your business. You can sign up here.